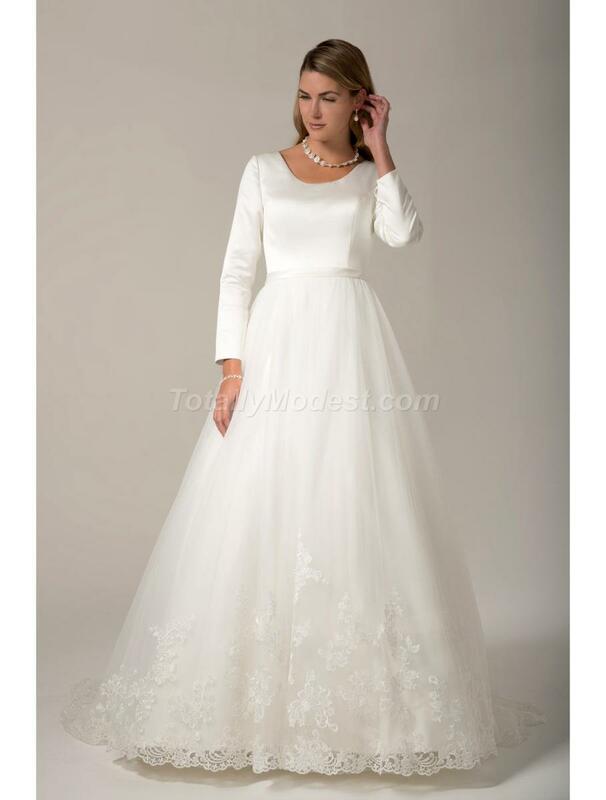 Modest ball gown with a round neck satin bodice and long sleeves. 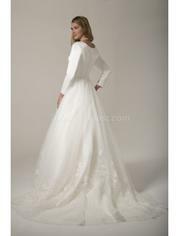 Full tulle skirt finished with delicate lace appliques and hem lace. Zipper high back with buttons. Court length train.